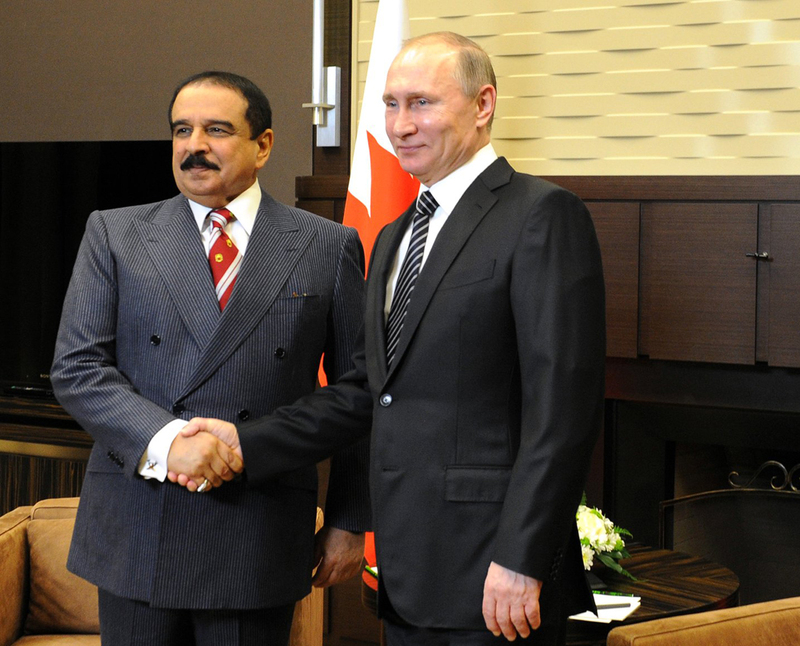 Hamad bin Isa bin Salman Al Khalifa during the meeting with Vladimir Putin, Feb. 8, 2015. The King of Bahrain, Hamad bin Isa bin Salman Al Khalifa, has praised Russia's efforts to pull Syria out of the crisis, Bahrain's Foreign Minister Shaikh Khalid bin Ahmed Al-Khalifa said after a Russian-Bahrain top-level meeting in Sochi. "His Majesty highly praised the role of President Putin, the Russian government and the friendly people of Russia, with regard to Russia's aid to take Syria out of the crisis," the Bahraini foreign minister said. The talks between the king of Bahrain and the Russian president "were very important, our views coincide on core points," he said. "These primarily are the need to fight terrorism, to search for peaceful resolution of existing differences, the unacceptability of a collapse of states and of an overthrow of legitimate governments," he said. "Many countries engulfed by conflicts have encountered manifestations of inter-religious and sectarian struggle, which have led to large numbers of refugees and migrants," the minister said. "There are hundreds of thousands of them, and this is already a global problem that weakens states," he said.